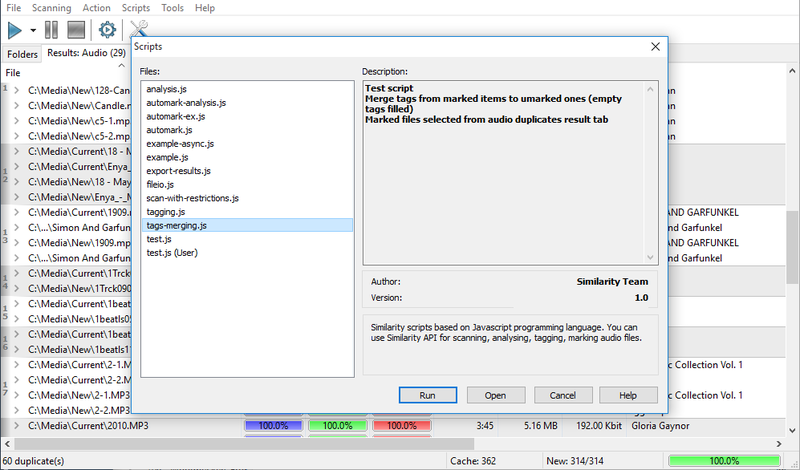 Add message to the Similarity log. Start enumerating files and folders from path, calling callback1 for files and callback2 for folders. callback1 called with FileItem object as argument, callback2 with string containing folder path. Wait before all pending asynchronous callbacks completed. 'r' - Open file for reading (default). 'r+' - Open file for reading and writing. duration - duration check value. 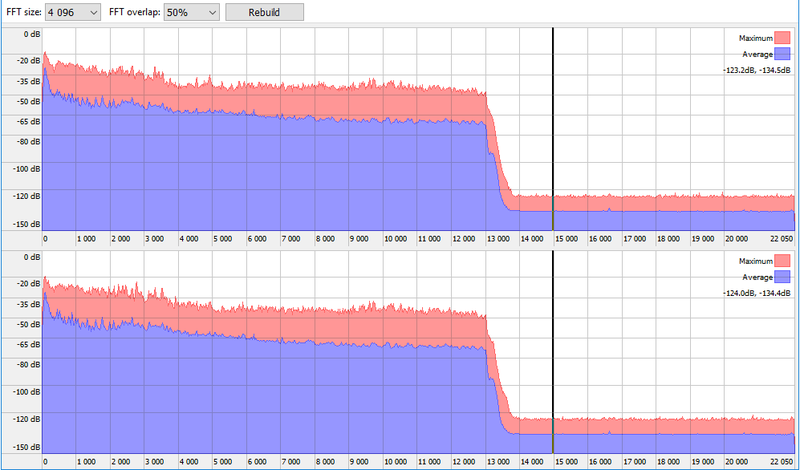 Prepares audio algorithms in advance, primary for optimization. item is FileItem object or string with path. Algorithms list can be an array or just arguments list. If you add any callback (function argument), this method works as asyncronous. Callback format callback(item, result), item your prepared FileItem object, result boolean argument with result (success or fail). Queue item for comparing (using audio.compare method) and prepare audio algorithms in advance. item is FileItem object or string with path. Algorithms list can be an array, or just arguments list. If you add any callback (function argument), this method works as asyncronous. Callback format callback(item, result), item your prepared FileItem object, result boolean argument with result (success or fail). Call callback on all items previously queued with audio.queue. callback(item1, item2) first argument is item, second argument is each queued item added with audio.queue before this call. Calculate scores for selected algorithms (or all of them). item1, item2 - FileItem objects or any strings with pathes. Algorithms list can be an array or just arguments list. Prepares image algorithms in advance, primary for optimization. item is FileItem object or string with path. Algorithms list can be an array or just arguments list. If you add any callback (function argument), this method works as asyncronous. Callback format callback(item, result), item your prepared FileItem object, result boolean argument with result (success or fail). 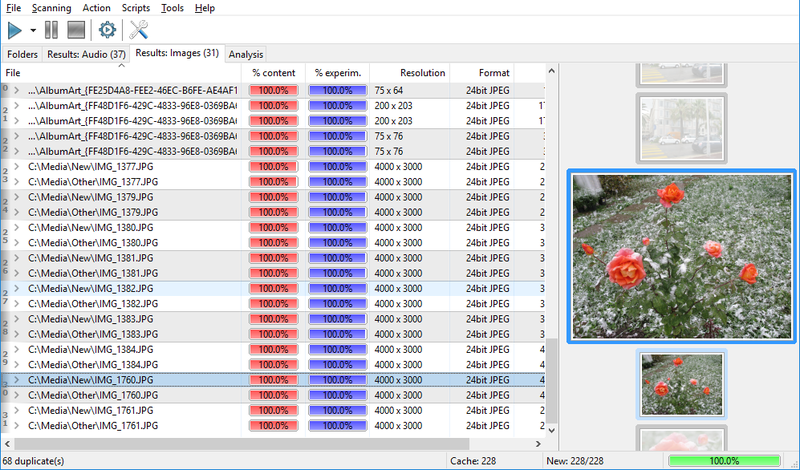 Queue item for comparing (using image.compare method) and prepare image algorithms in advance. item is FileItem object or string with path. Algorithms list can be an array, or just arguments list. If you add any callback (function argument), this method works as asyncronous. Callback format callback(item, result), item your prepared FileItem object, result boolean argument with result (success or fail). Call callback on all items previously queued with image.queue. callback(item1, item2) first argument is item, second argument is each queued item added with image.queue before this call. Prepares analysis data in advance, primary for optimization. item is FileItem object or string with path. If you add any callback (function argument), this method works as asyncronous. Callback format callback(item, status), item your prepared FileItem object, result boolean argument with result (success or fail). Clear all results from Audio Results tab. Checks if item is marked in the Audio Results tab. Returns true if item marked or false if not or absent. Set item to marked or mark boolean value in the Audio Results tab. Remove mark from item in the Audio Results tab. Without arguments remove all marks from Audio Results tab. Clear all results from Image Results tab. Checks if item is marked in the Image Results tab. Returns true if item marked or false if not or absent. Set item to marked or mark boolean value in the Image Results tab. Remove mark from item in the Image Results tab. Without arguments remove all marks from Image Results tab. 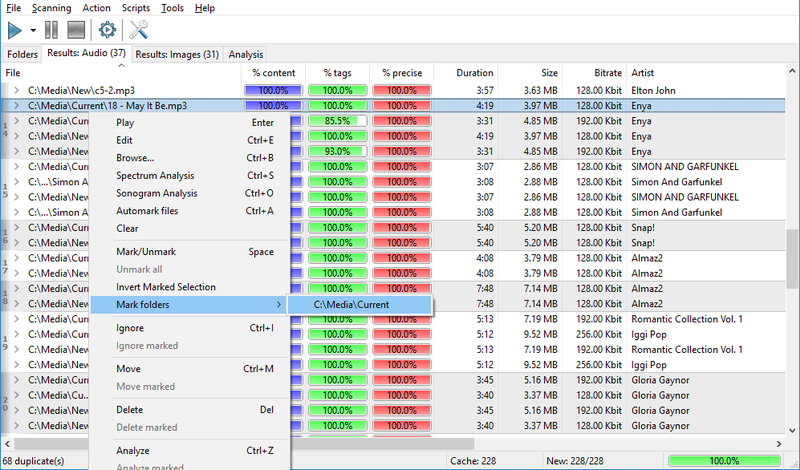 Returns array of FileItem objects containg all files shown in Analysis Results tab. Clear all results from Analysis Results tab. Checks for item is marked in the Analysis Results tab. Returns true if item marked or false if not or absent. Set item to marked or mark boolean value in the Analysis Results tab. Remove mark from item in the Analysis Results tab. Without arguments remove all marks from Audio Results tab. Retreive archive boolean file attribute. Retreive encrypted boolean file attribute. Retreive compressed boolean file attribute. Retreive hidden boolean file attribute. Retreive readonly boolean file attribute. Retreive system boolean file attribute. Raw integer file attribute value (system depended). Returns file size value in bytes. Returns DateTime object of file creation. Returns DateTime object of last file modification. Returns format of audio file. Example 'MP3', 'AC-3', etc. 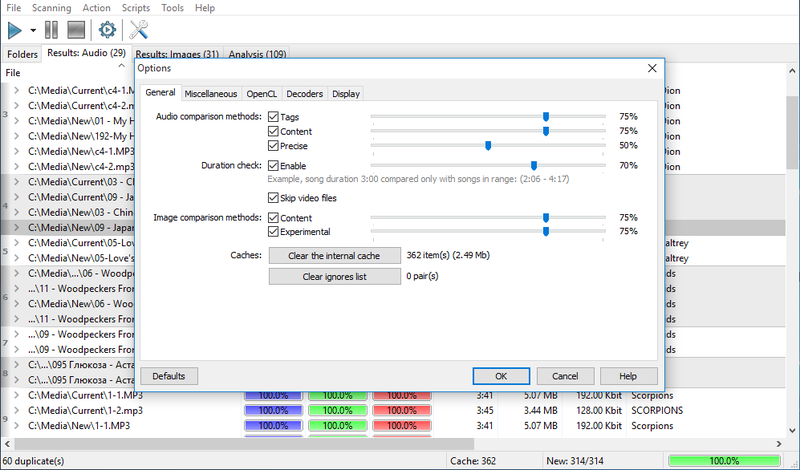 Returns bitrate of audio file. 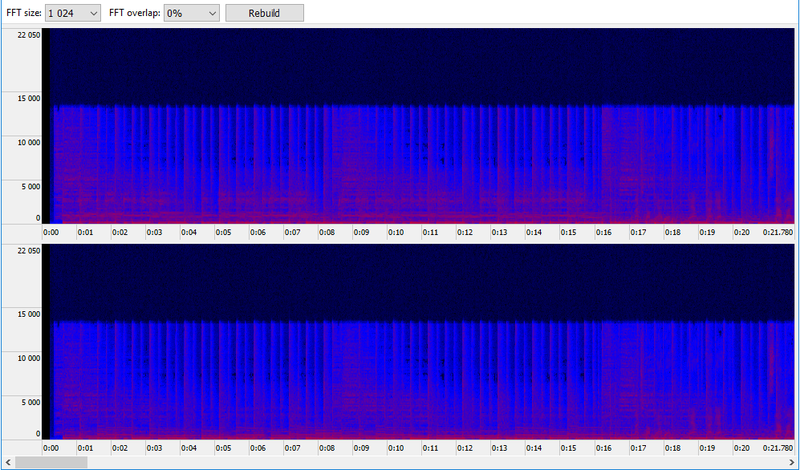 Returns duration in ms of audio file. Returns artist tag of audio file, retreved by decoder. 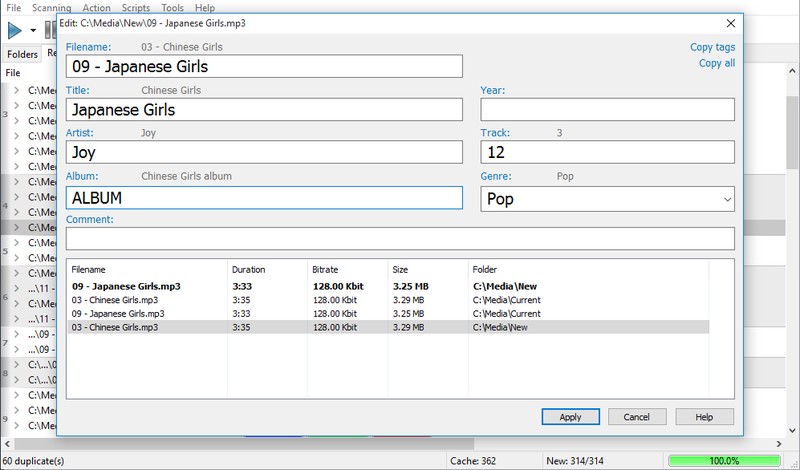 Returns album tag of audio file, retreved by decoder. Returns title tag of audio file, retreved by decoder. Returns format of image file. Example 'JPEG', 'PNG', etc. Returns number of bits per pixel of image file. Example 8, 16. Returns width of image file. Returns height of image file. Set/Receive title tag from file, value returned by tagger. Value is string. Set/Receive album tag from file, value returned by tagger. Value is string. Set/Receive artist tag from file, value returned by tagger. Value is string. Set/Receive genre tag from file, value returned by tagger. Value is string. Set/Receive comment tag from file, value returned by tagger. Value is string. Set/Receive year tag from file, value returned by tagger. Value is integer. Set/Receive track tag from file, value returned by tagger. Value is integer. Returns sample rate of audio file. 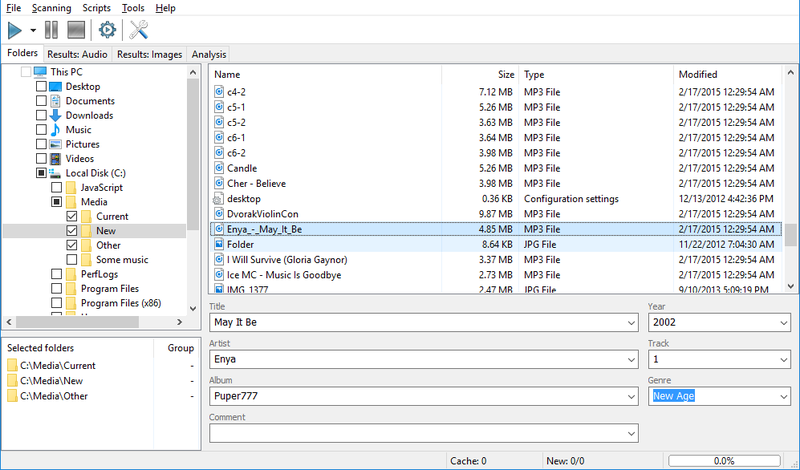 Returns data type of audio file. Possible values '8', '16', 'float'. Returns cahnnels format of audio file. Possible values 'mono', 'stereo', '5.1', '7.1'. Class for working with UTF-8 text files. Open FileIO object, arguments same as openFile. Write text data into opened file. 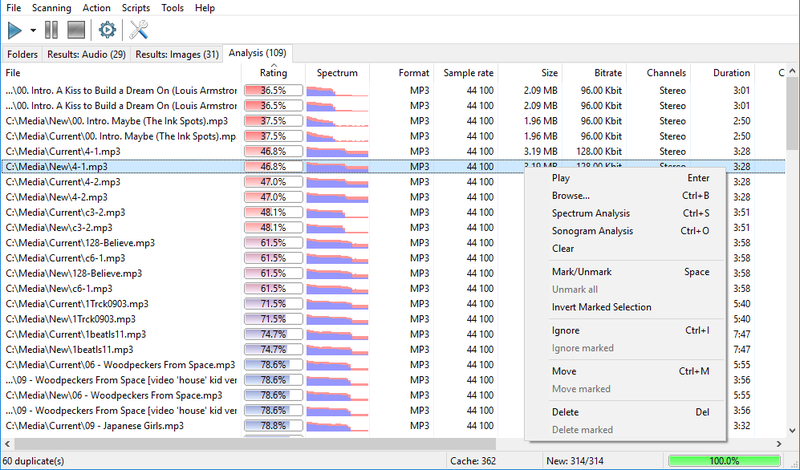 Read size bytes from file. Without size read entire file. Return readed data as string.